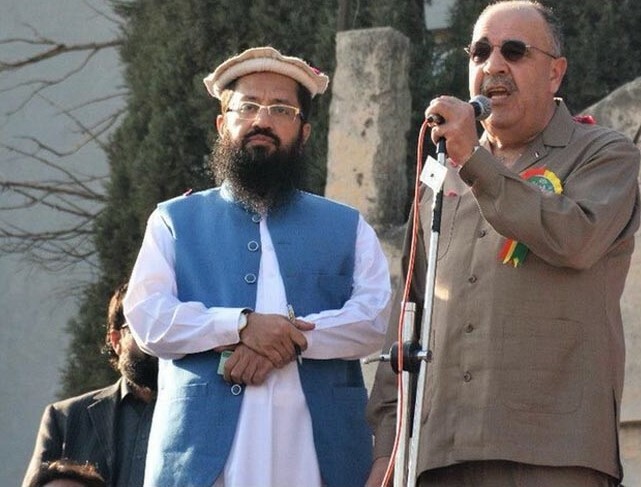 Pictures of the Palestinian ambassador to Pakistan, Waleed Abu Ali, circulated on social media after he reportedly attended a rally organized by the Difah-e-Pakistan Council in Liaquat Bagh in Rawalpindi. Difah-e-Pakistan Council is an umbrella group of 40 religious and extremist groups in Pakistan, headed by the JUD chief, Hafiz Saeed. Saeed is banned as a global terrorist by the UN and is accused as the mastermind of the 26/11 attacks. Saeed used the rally to call for an “Islamic summit” to defend Jerusalem from Israel. India, like 127 other countries voted on the principle that the status of Jerusalem would be decided after a deal between Israel and Palestine. India’s vote was seen to be against Israel a close friend of India, as well as US its close strategic partner. Not only has the Palestine President Mahmoud Abbas visited India earlier this year on a state visit, Prime Minister Narendra Modi is expected to visit Palestine in the coming months. Palestine, however, has consistently voted against India on the J&K issue both in the UN and in the OIC for years, while criticising India’s growing relationship with Israel.